Visual Studio 2013 would keep on crashing when opening a Multi-Device Hybrid Apps project. 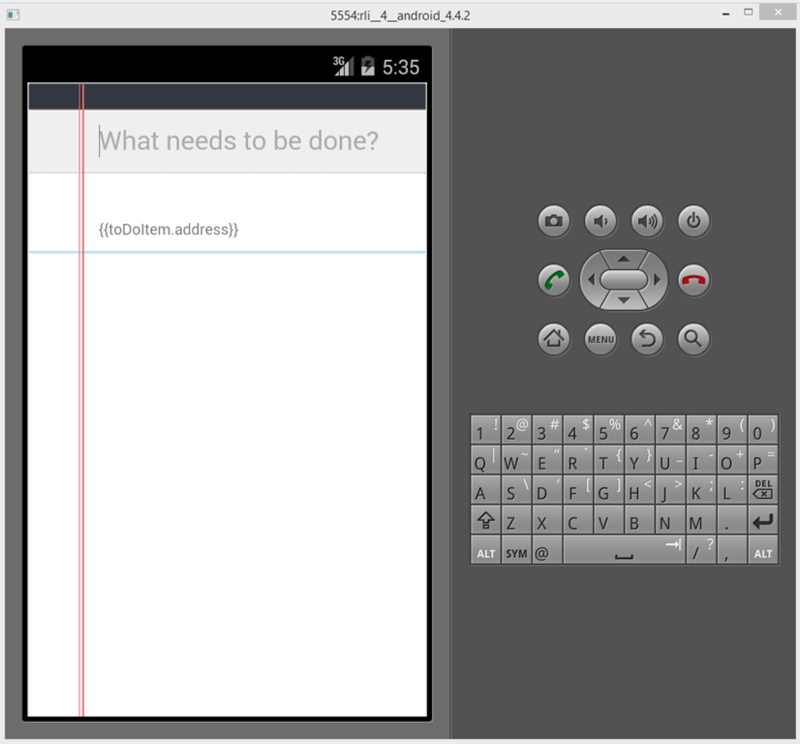 I also updated to the latest version of the Windows Phone emulator, but I don’t think that is necessary. 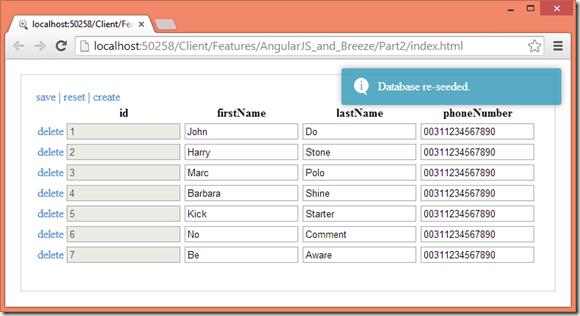 AngularJS and Breeze – A simple crud app – Part 4 – Extracting a data service and adding validation. 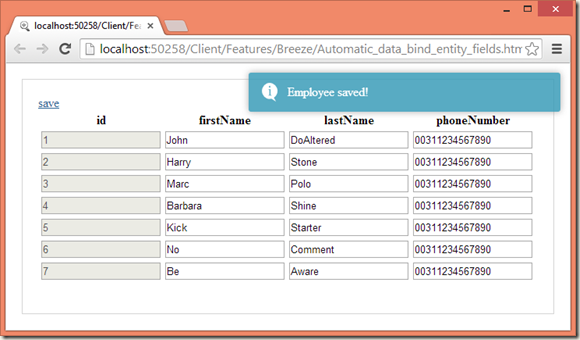 In this post all will be extracting a data service from the code created in the previous posts and I will be adding some client side validation by using the breeze directive: data-z-validate. 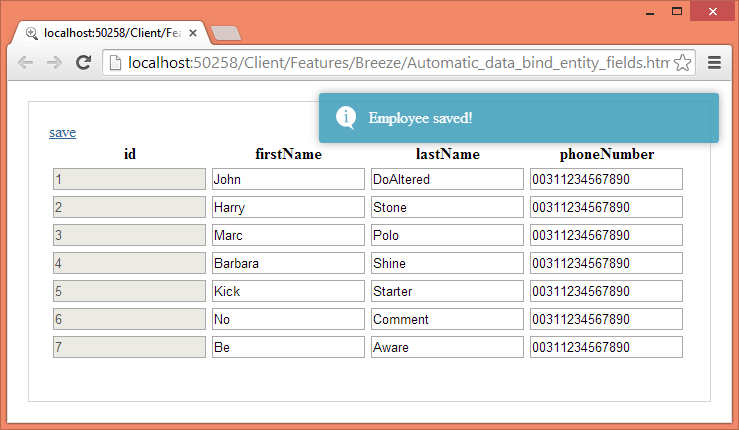 Just by adding the data-z-validate attribute to the input elements in the grid, breeze will automatically show client side validation errors, by default an asterisk “*” is shown for required fields and a message is shown, when the user clears a required field. 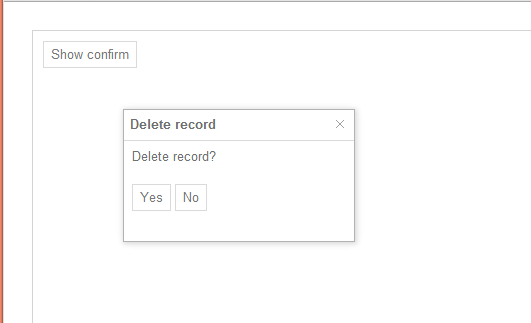 I encountered a problem with the data-z-validate directive, this was caused by added the directive dynamically in a custom directive created by me, see: http://stackoverflow.com/questions/22849402/angular-directive-with-a-template-does-not-work-with-z-validate but this was fixed by altering my custom directive. 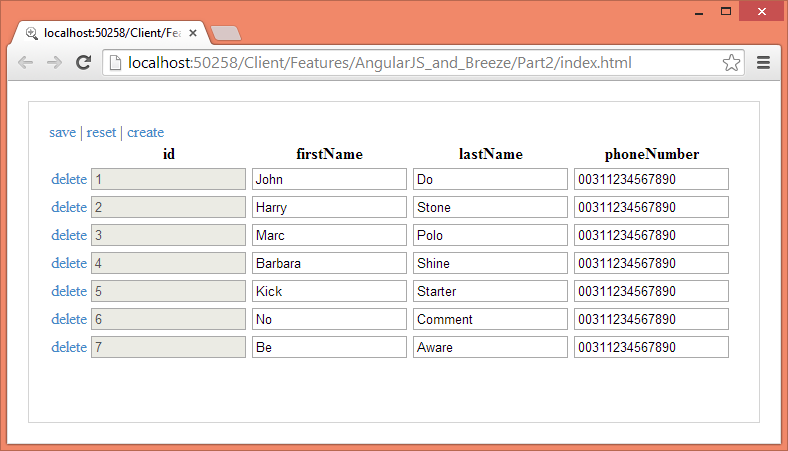 // Angular directive [spaField] responsible for generating grid cell controls. // The data-z-validate directive will append a [span class="z-decorator"] to the following [input] element, by using the jquery "append" function. 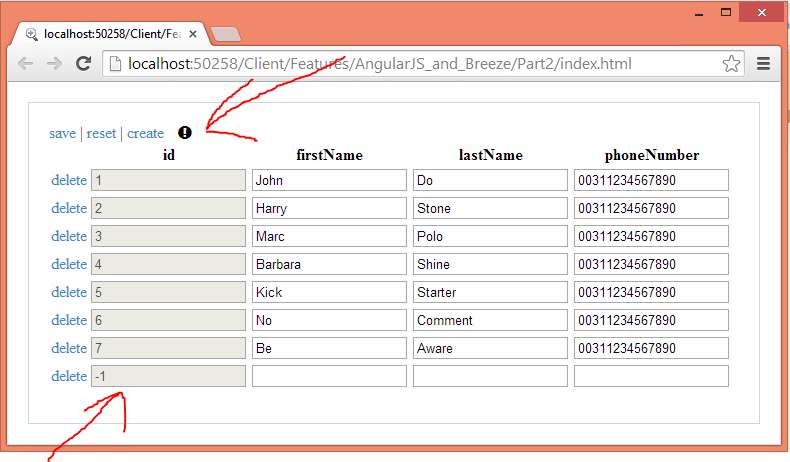 // Apply scope to the created html fragment. 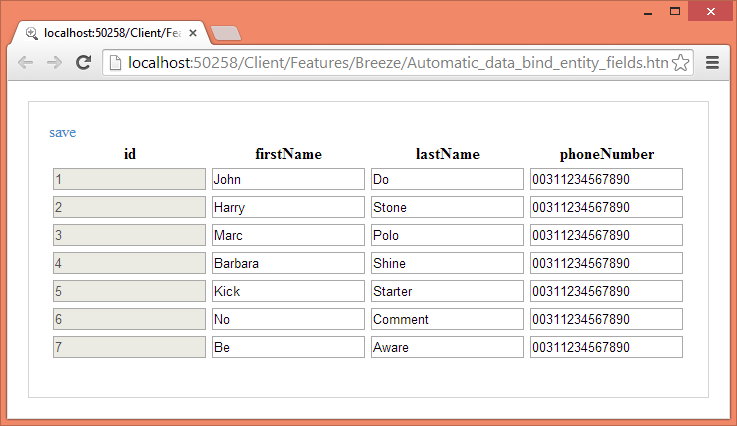 // Get the [<span class="z-decorator"] appended to the input element by the z-validate directive. // The following 2 lines will only add the input element to the DOM and not the [span class="z-decorator"], that is added by the z-validate directive. 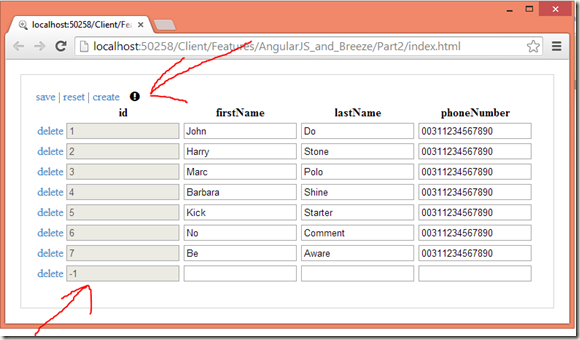 // Add the [span class="z-decorator"] to the current parent element of the input element. 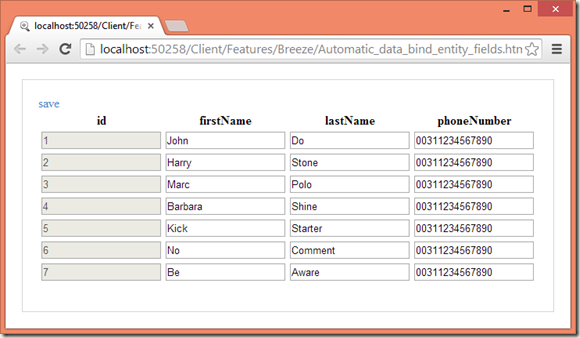 AngularJS and Breeze – A simple crud app – Part 3 –Adding foreign keys and Kendo UI widgets. Using Kendo UI mobile switch in AngularJS generated grid. Using Kendo UI date picker in AngularJS generated grid. 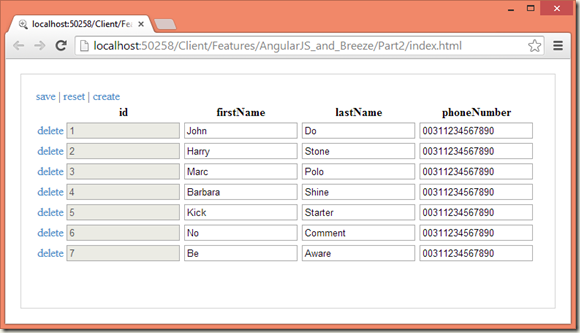 Using Kendo UI combobox in AngularJS generated grid. 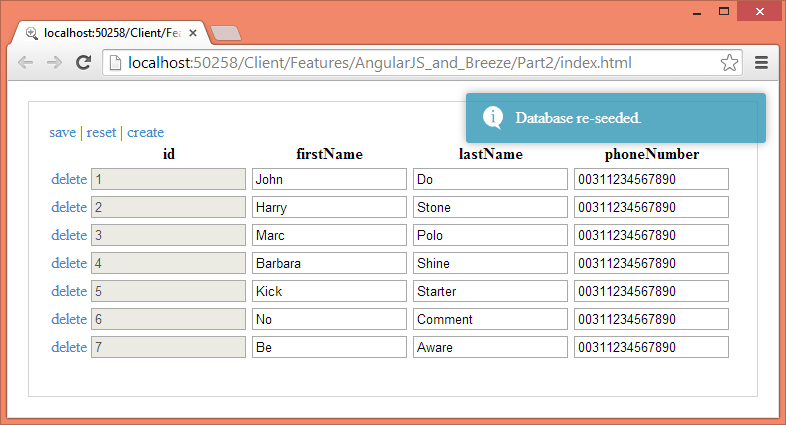 The HTML shows a splash page with the text “Loading data…” by using the ng-cloak AngularJS directive. By putting all external resources, like “link” and “script” tags at the bottom of the page and inlining the minimal CSS to show the splash page, the splash page is immediately shown to the user, while the AngularJS app is booted and the data is loaded. A Kendo UI window can be positioned. visible: false, // The window will not appear before its .open method is called. 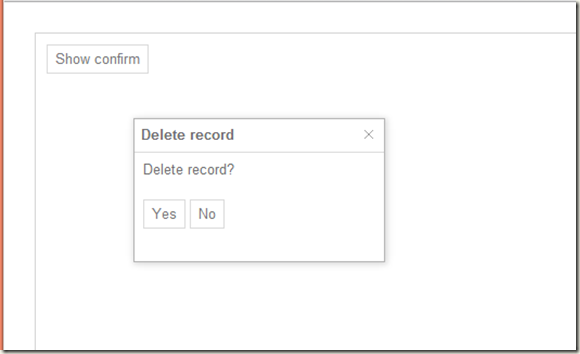 // Dynamically set some window options. // User cancelled the window. 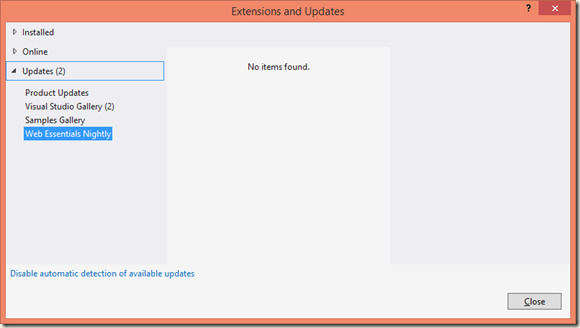 NuGet Package Manager menu items not showing in Visual Studio 2012. 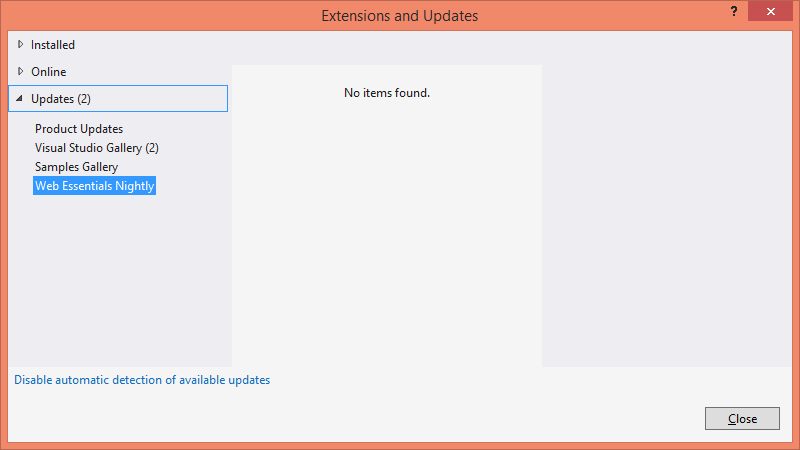 I had installed Visual Studio 2010 and Visual Studio 2012 and installed the NuGet Package Manager, via [Extensions and Updates] and no NuGet Package Manager was showing. Manual downloading the NuGet Package Manager (vsix), closing all visual studio instances and running the *.vsix twice simultaneous, fixed the problem. 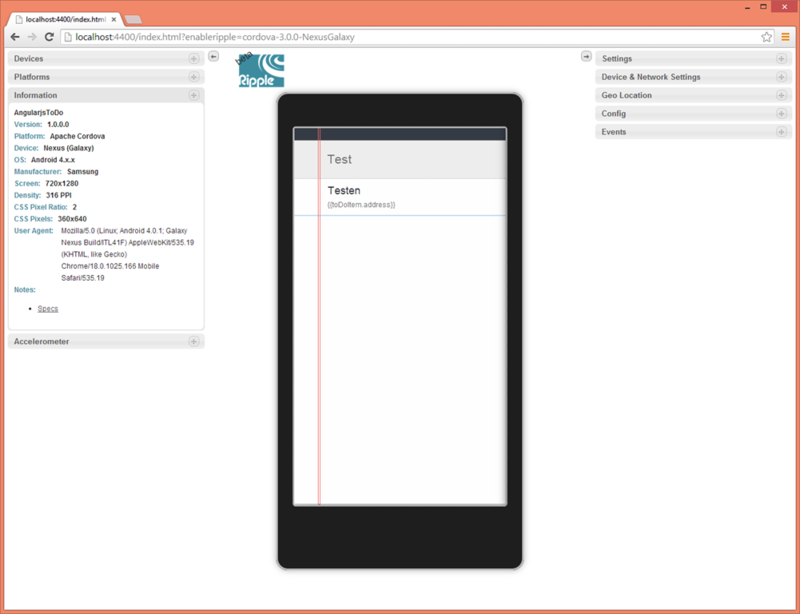 How to display a message, when a Kendo UI MVVM grid is empty.